The price of this kitten shall be $______ and shall be payable in full prior to shipment or possession of kitten by purchaser. This kitten is purchased for ______pet ______breeding. Breeder can not guarantee future reproductive capability for kittens sold as breeding cats. Kittens sold as breeding quality animals must be at least one year old prior to the first breeding. A deposit of $______ will be placed no later than 7 days from the date of this agreement, or agreement becomes void. A deposit is required to reserve a kitten. All kittens will be held in the order of deposits received. All deposits are non refundable. If, for any reason, your kitten of preference becomes unavailable, your deposit will be held and a suitable replacement will be mutually agreed upon. If for any reason, Purchaser decides not to purchase this kitten, any and all deposits paid shall be forfeited by Purchaser. Breeder accepts the following methods of payments: Cash, Money Order and PayPal (bank transfers and Credit Cards). 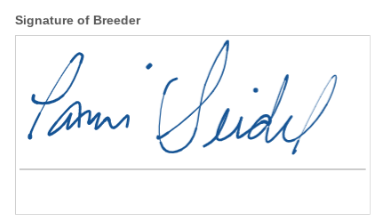 Any other payment methods or terms must be pre-approved by the breeder.